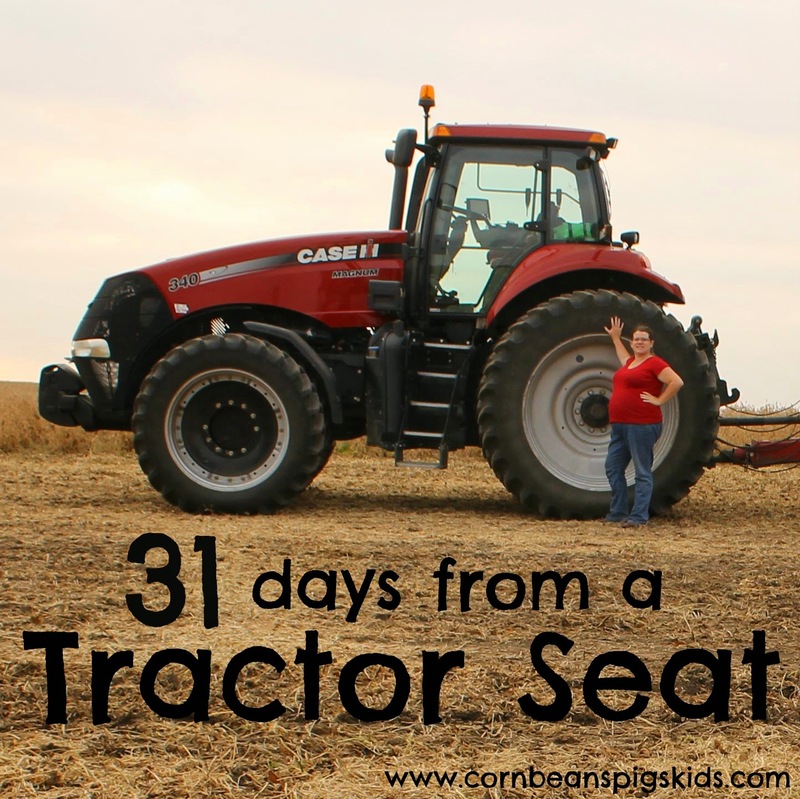 One feature this month through my 31 Days from a Tractor Seat series is that I am sharing are some of my family's "Tractor Approved" recipes. During fall harvest I have a unique situation where I find myself in the field pretty much all day, everyday, along with my husband and kids. This means that we don't have that much food in our house because I don't have that much time to run to the grocery store or simply to just cook or bake something. But one thing I do try to keep on hand are snack foods. 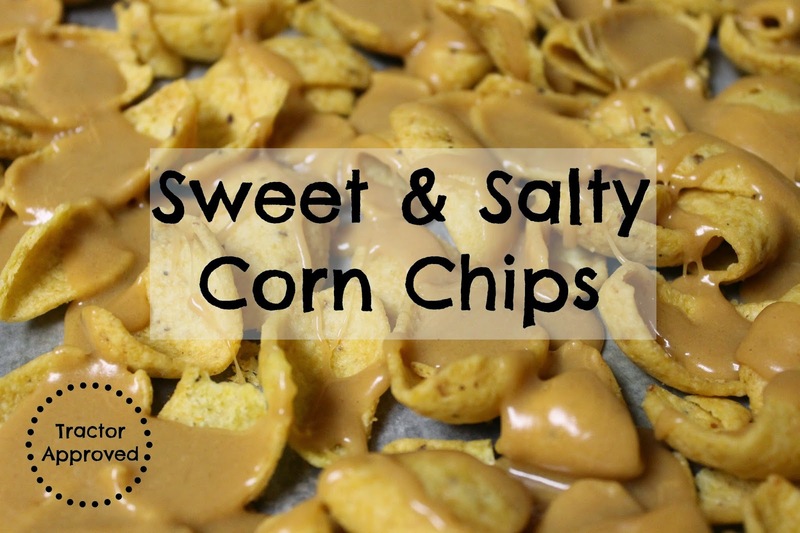 Today I'm excited to share my recipe for Sweet & Salty Corn Chips. Be sure to check out my other "Tractor Approved" recipes: Six Week Muffins and The Best Tuna Salad. Lay corn chips out on a baking sheet covered with wax paper. Then bring sugar and corn syrup to boil. Take off heat and stir in peanut butter. Immediately drizzle over corn chips. Let cool before putting into Tupperware containers or Ziploc snack sacks. What are some of your go-to snack recipes? Remember to Comment for a Cause! I have enjoyed reading your blog. Although I wasn't raised a farm girl, I married a man that is a full blood farmer. I have loved learning about the farm. I have a snack that is very tasty and works great for a tractor/combine seat. Kids love it. Find the recipe at http://cookingwithloveinthecountry.blogspot.com/2013/09/buttery-ranchy-party-mix.html. I hope you enjoy! That looks great! I'll have to make that sometime soon. I never would have imagined this combination!!! Hmmm...it sounds intriguing and I bet it is addictive as well! Loving all of your Tractor Approved Recipes!!!! Thanks! I didn't mention the addictive part... My Farmer was so excited to see it this morning that he had some for breakfast.